Redefining The Meaning Of Being Stable! 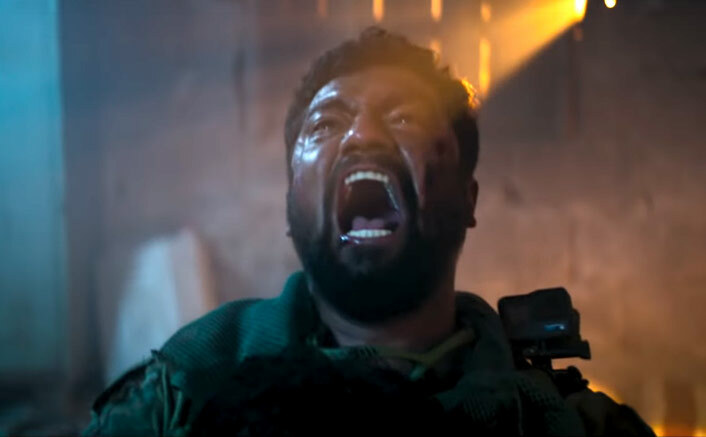 Vicky Kaushal starrer Uri: The Surgical Strike is continuing its super-successful march at the box office. If fifth Monday collections were highly impressive, the collection on fifth Tuesday is just terrific. The war-drama made on a meagre budget of 25 crores is breaking the records on each passing day. After crossing the coveted mark of 200 crores, Uri is rock steady even in its fifth week. On its day 33 i.e. fifth Tuesday, the movie added another 1.61 crores, thus taking a grand total at 216.21 crores. When compared with day 32’s 1.70 crores, the collections hardly declined on day 33. Uri: The Surgical Strike Day 33 Box Office: Redefining The Meaning Of Being Stable! As Ranveer Singh-Alia Bhatt’s anticipated Gully Boy releases tomorrow, it will be interesting to see if Uri continues to attract the footfalls.